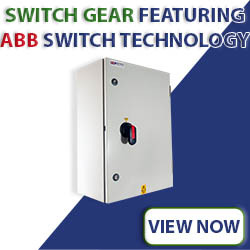 This range of products has been replaced by our new ABFS range which features ABB Switch Technology. 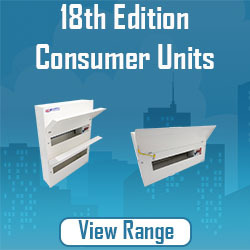 Click here to view the complete range. Conforms to IEC 60204-1 Standard “Safety of machinery. Electrical equipment of machines” and of the EN 61439-1 Standard. Manufactured and tested to EN 61439 parts 1&2. Powder Coated Epoxy Resin Finish RAL 7035, orange peel blank gland plates 15/10mm galvanised steel sealing gasket. Adequate cabling space but cable boxes can be supplied depending upon size of fuse switch unit. Safety handle When padlocked in the ‘Off’ position, the enclosure door cannot be opened. Capable of accepting up to three padlocks in the ‘Off’ position. (‘On’ position on request). 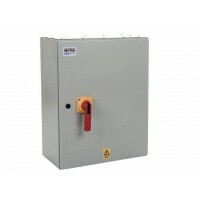 Door interlock handle Can be defeated to enable emergency opening or for testing purposes. (Must only be carried out by a competent person). Positive Contact Through windows in Switch body, viewable when door is open. Removable Gland Top and bottom plates. 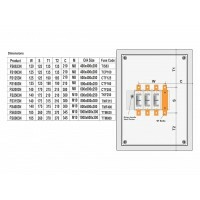 All fuse combination Are supplied with a full set of suitably rated fuses. 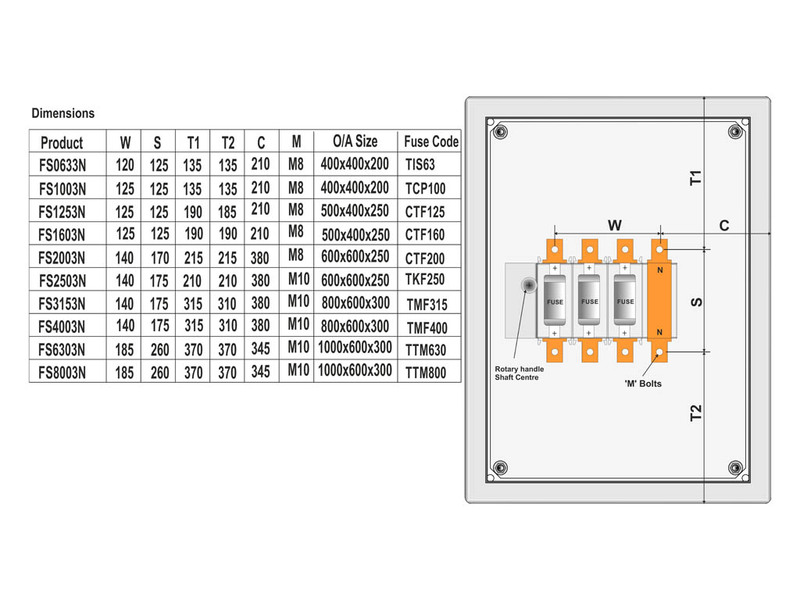 Four Pole Isolation All isolators feature three pole and switched neutrals. 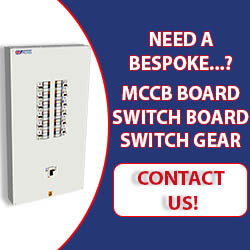 All changeover Switches Are On-Load AC23 rated. 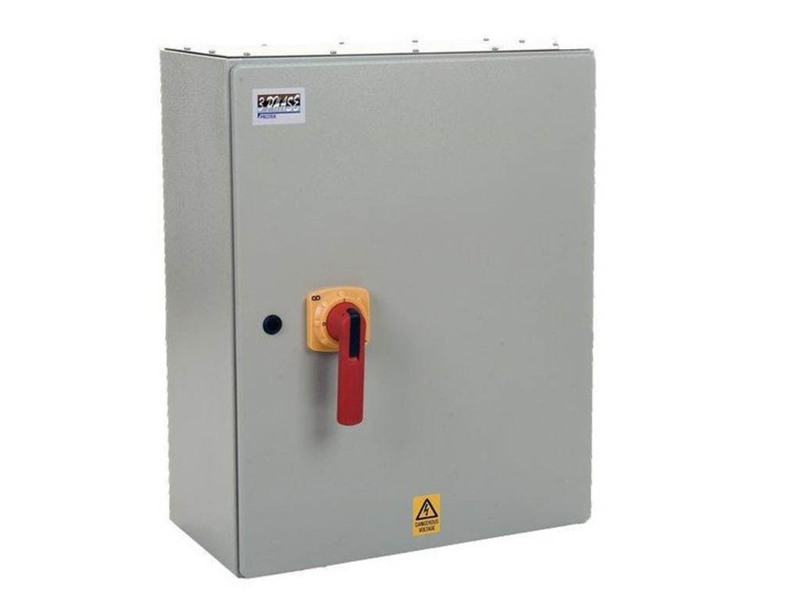 Ease of cabling All isolators, fuse-switches and changeover Switches are mounted on a removable galvanised chassis plate.